Update! See the animation in action here. We all remember Dudebro’s versatile health bar, the Brodiocity Meter. 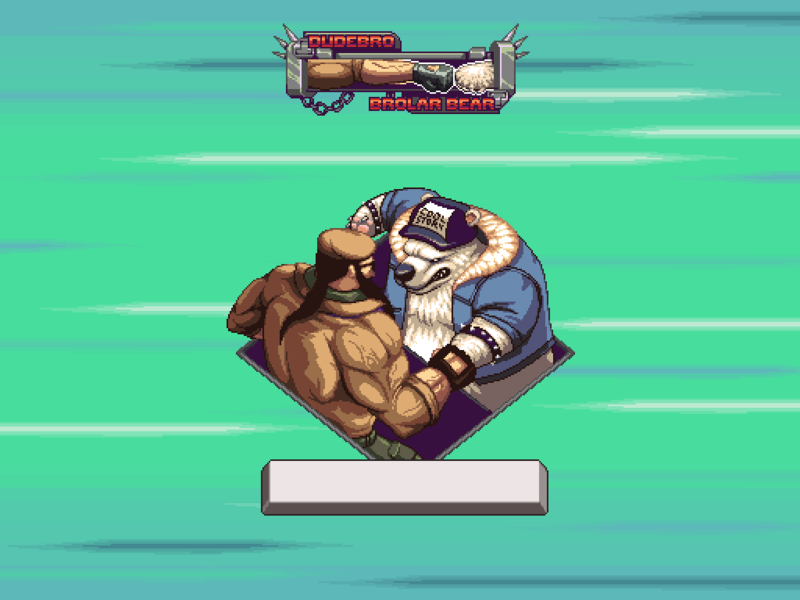 Well here we have one of its more important functions in boss fights on display, the fist bump finisher! This special segment of the boss battle will be vital in determining its outcome. Winning it will deplete the boss’s own Brodiocity Meter completely, thus gaining the player a win. For more information, check out this post. This entry was posted on Monday, June 11th, 2012 at 9:00 am	and is filed under Main News.